Nanotechnology, "the manufacturing technology of the 21st century," is defined as the understanding and control of matter at dimensions of roughly 1 to 100 nanometers (billionths of a meter, or 10 m.) A nanometer (nm) is one-billionth of a meter, or a millionth of a millimeter - smaller than the wavelength of visible light and a hundred-thousandth the width of a human hair. At this scale, unique properties of materials emerge which can be applied to produce technologies and products with entirely new abilities and applications. Nanotechnology (NT) involves imaging, measuring, modeling, and manipulating matter only a few nanometers in size. Nature already uses nanotechnology in the molecular machinery of every living thing. Nature's designs are working examples to us of what can be made. However, rather than using trial and error, we can apply intelligent design principles to our creations. According to futurist and inventor, Raymond Kurzweil, the Nanotech Age is expected to begin between 2025 and 2050, bringing an end to the current Information Age which began in 1990. Coming is a Nano Revolution that will be at least as transformative as the Industrial Revolution (perhaps much more so), but packed into just a few years. Well beyond present-day nanotech applications, mature "molecular manufacturing" or "molecular nanotechnology" will enable us to manifest our dreams (or nightmares). We are nearing the ability to build molecules out of atoms mechanochemically, and to use these molecular building blocks to construct virtually any substance or device we can conceive of. This most powerful technology of all will radically transform and extend the capabilities of practically every area of human endeavor by exploring the ultimate limits of fabrication. Nanotechnology will become the most powerful tool the human species has ever used. With it, we will literally fashion the world of tomorrow into whatever we so desire. Materials having morphological features smaller than 100 nm in at least one dimension are Nan materials. This classification includes thin films, quantum dots, etc. When matter is reduced to the nanoscale (1 - 100 nm,) the effects of increased surface-area, in tandem with quantum effects, begin to dominate material properties. As a particle's size decreases, a greater proportion of its atoms are found at the surface compared with those inside. Larger surface area equals greater reactivity. Quantum confinement results in size-dependent property changes, meaning materials with nanoscale dimensions (Nano materials) can start to exhibit very different optical, electrical and magnetic properties, (especially as the structure or particle size approaches the smaller end of the nanoscale) compared to what they would on a macroscale. This effect has been likened to an expansion of the entire periodic table of the elements out into another dimension; as though we now have access to many new primary elements which did not exist before, enabling unique/novel applications. For instance, when made into nanoparticles, opaque substances may become transparent (copper); inert materials attain catalytic properties (platinum); stable materials turn combustible (aluminium); solids become liquids at room temperature (gold); insulators turn into conductors (silicon). Materials such as gold, which are chemically inert at normal scales, can serve as a potent chemical catalyst at the nanoscale. Much of the fascination and potential of nanotechnology stems from these unique surface area and quantum phenomena exhibited by matter at the nanoscale. Silk thread is a double strand of the fibroin held together by a substance which is gummy in nature; this gummy substance is the sericin protein. The chemical composition of silk filament is fibroin (70-80%), sericin (19-28%) and other matter plus ash contributes to (1.0-2.0%). The waste water from silk industry largely contains the sericin group of proteins which are discarded unused and polluting the nearby area. Sericin contains 18 amino acids including essential amino acids. The major amino acid compositions in sericin are 32% of serine, 18% aspartic acid and 16% glycine. The total amount of hydroxyl amino acids is 45.8%, polar amino acid 42.3% and nonpolar amino acid residues 12.2% in sericin. The waste water of degumming process of silk industry is utilized for the extraction of sericin group of proteins and its conversion to nano particles. The 5 L waste water is centrifuged in a centrifuge at 4000 rpm for about 10 minutes to remove the suspended particles. The clear supernatant is concentrated in a rotary evaporator to about half of the original volume 2 L. The clear concentrated sericin solution is stored at 4oC for further use. -55 0C for 24hrs to get nano sericin in powder form. It contains 18 kinds of Amino Acids, including all 8 kinds of human needful ones. The sericin in nano form can be used in various applications. Recently, Silk sericin has been widely used in biomaterial applications due to its biocompatibility, biodegradability, and anti-oxidative and bioactive activities. Because the hydrophilic amino acids proportion reaches 80%, it has extraordinary excellent performance on humidity-control and skin protection as cosmetic materials. The colloid proteins protect and care one's skin and hair, forming the protective velum, keeping the skin moisture, preventing injury on skin stratum corneum and blocking off ultraviolet radiation. The sericin has good moisture absorbing characteristics so it can be used as a moisturizer in the cosmetics and it also gives glow to the skin. The sericin shows gelling property at all conditions. This property can be used to replace the artificial binding agent used in perfume sticks. By making the sericin stable it is possible to increase the porosity in the perfume sticks which makes it easy for burning. One of the major applications of tissue engineered skin substitutes for wound healing is to promote the healing of cutaneous wounds. As the sericin based hydrogel has the three dimensional cross linking property, it can be used as a scaffold in the tissue engineering effectively. The sericin shows antibacterial properties. It can be widely used in the pharmaceutical products as an antibacterial agent. It is an excellent treatment for the cuts, wounds, burns, sores and skin infections. The sericin based hydrogel can be used in these applications as it can absorb moisture and has antimicrobial property. This property can be utilized to prevent the urinary tract infections. The anti-microbial activity of the Silk Sericin capped silver nitrate against gram-positive and gram-negative bacteria is confirmed. Sericin is also reported to have diverse biological activities, such as anti-oxidation, anti-bacterium, anti-coagulation and promoting cell growth and differentiation. In the field of regenerative medicine, owing to its biodegradability, easy availability, and hydrophilicity with many polar side groups, sericin is mostly copolymerized, crosslinked, or blended with other polymers to form various scaffolds in order to help obtain improved properties for relevant biomedical applications, such as skin regeneration. Besides being jointly fabricated with other biomaterials, the possibility of using only pure sericin to generate scaffolds has just begun to be explored. Acne, blackheads, white heads and blemishes are a problem that everyone at some point in their life has dealt with and not just in their youth. These issues affect people of all ages for various reasons. 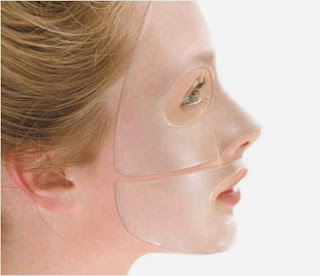 Hydrogel Mask provides superior quality over the conventional Serum-soaked cloth masks. Before the hydrogel masks appeared on the market, serum-soaked cloth masks were synonymous with the face masks, appealing to consumers with their ease of use and the great hydrating ability. Despite these merits, some users complain that they do not completely make contact with their skin or some essence ingredients run from the face. Even though nanotechnology is an emerging field of science greatly exploited in different sectors mainly electronics, energy, environment and health, its application in sericulture is rarely exploited in India and abroad. The research in this sector in India is still at a preliminary stage and also at a conceptual level to understand realistic assessments.